If you are preparing files to be offered up as downloads, whether it’s a school assignment, a software installer or a white paper, consider the context that it’s going to be in once it’s downloaded by the user. This is a different context than when you (or your team) are working on the file on your end. In that case it may be called something familiar, perhaps with a date, or initials indicating who modified it last, etc. That’s fine. It may also be the only file of its kind from you: your only “software update”, or your only “annual report”. But think about where it’s ending up: it’s going to be along side who-knows-how-many other files in someone’s downloads folder or on their desktop. 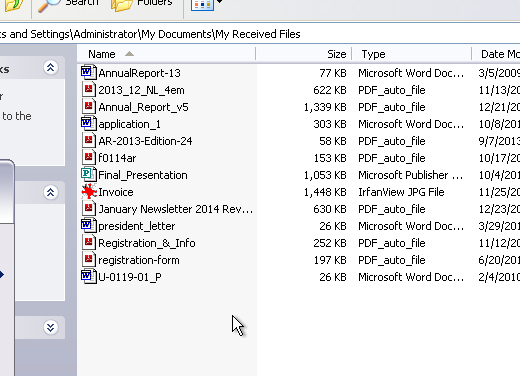 One of the most common things missing from files like this is the company name! If I just downloaded a software update from “TechCorpGroup,” and there’s no file with that name in it in my downloads folder, I’ll have to search and guess which is the one I’m looking for. I wouldn’t address this if I didn’t encounter it on a regular basis – sometimes from some very large companies. I will say, I’m also not a proponent of file names that are sentences. 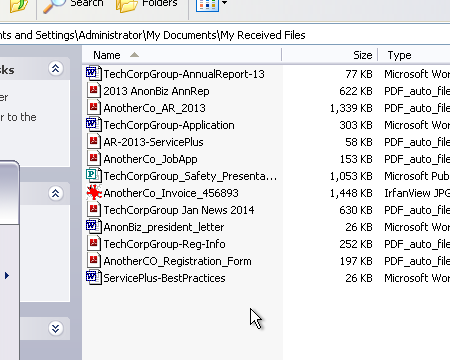 File names should be precise and concise – details can be found in file information and document titles. So be sure to pay attention to what you’re naming the files you distribute. It will help your audience find the thing they came to your for, and is another opportunity to improve your integrity of your brand.